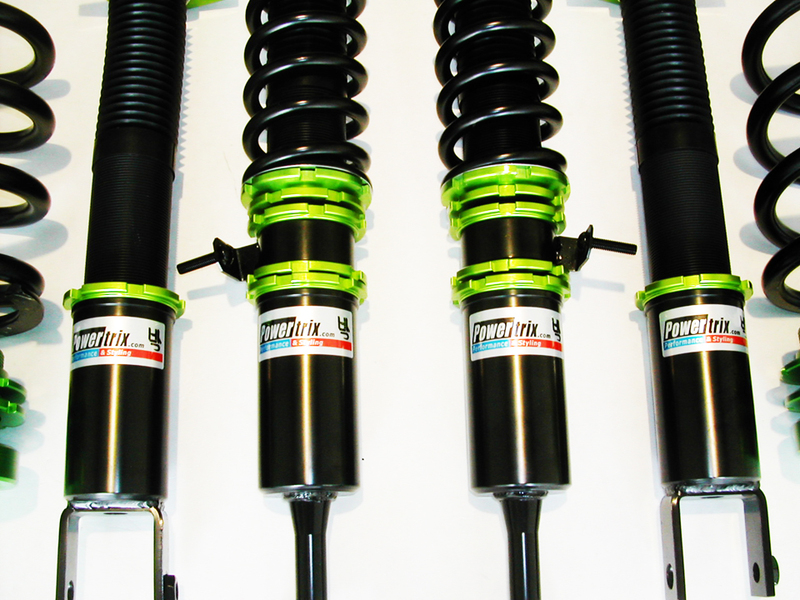 The (RT) Road/Track Coilovers feature a robust Race grade 45mm mono tube strut piston that is valved for the serious competitor and features aluminum pillow ball upper mounts to transfer more suspension energy through the strut piston shaft increasing the efficiency of the overall suspension duty. 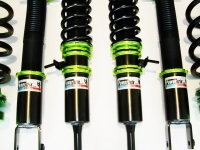 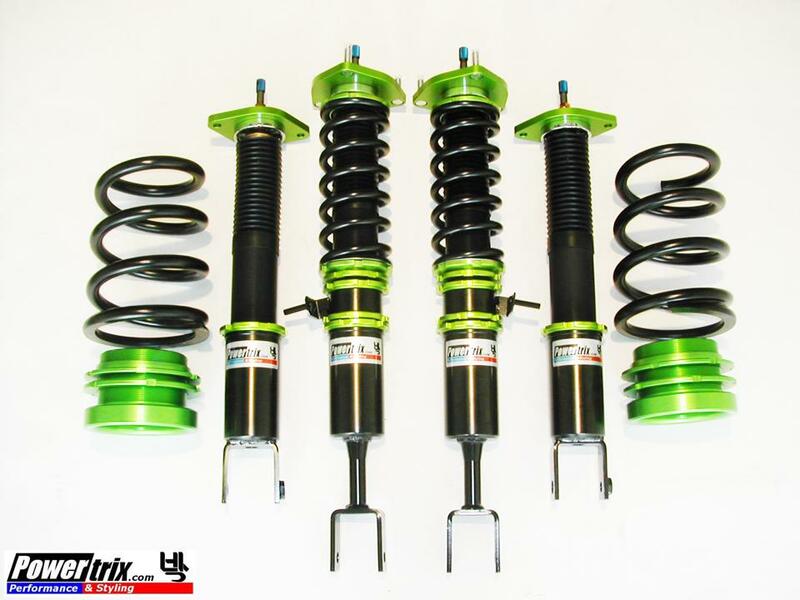 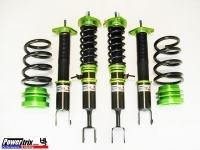 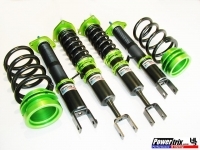 Full forged steel threaded shock bodies for independent ride height and spring preload adjustability and 13k/11k linear springs make the RT Coilover System an "All Business" tool for Auto crossing and Road Racing. 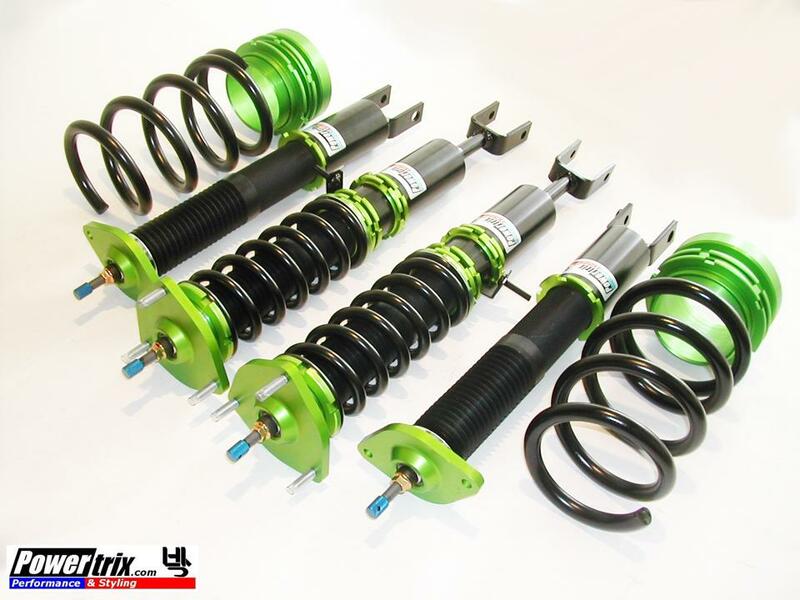 Designed for the true performance enthusiast looking for the extra edge during track time, it is also just civil enough to run on the street on a daily basis. 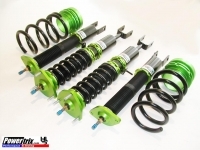 Note: + or – 2k on spring rate changes will require re-valving.